The Harry Potter universe can sometimes feel as if it’s taking over the world, but for those of us who love the books, movies and all of the other associated media, there’s absolutely nothing better. The more related items available out there, the more of them that find their way into my house. To be honest, I’m not at all sorry. My husband? Maybe he’s sorry, but he’s a Muggle. What’s a girl to do? 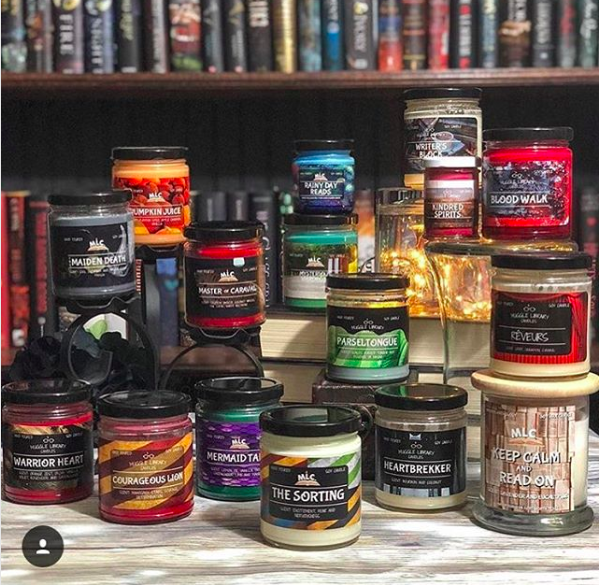 If you also belong to this awesome category of people, then one of these sorting candles 100% belong on your shelf. 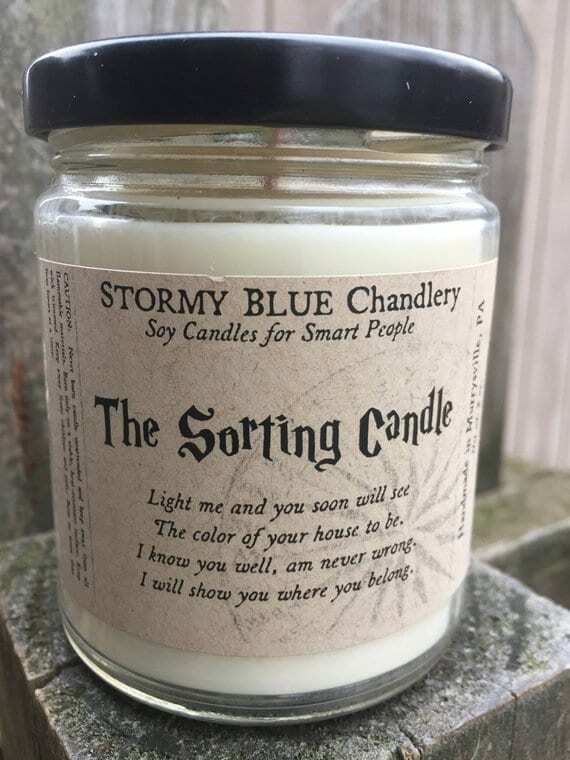 The candles are all sold as white, and then, according to one Etsy seller (Muggle Library Candles), the wax turns yellow for Hufflepuff, red for Gryffindor, blue for Ravenclaw, or green for Slytherin as it burns. The candles are just for fun (unless mine turns blue and then it totally knows what it is doing) because there’s no quiz or anything involved, but I still totally want one. Heck, let’s all buy a bunch until you get one to burn in every color!